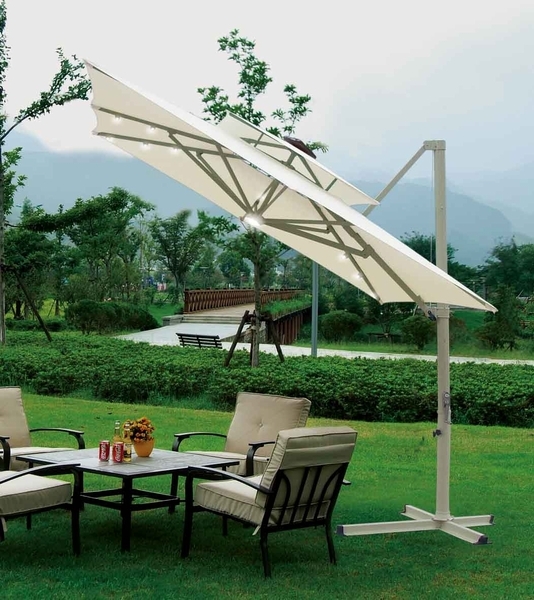 Southern Patio 10'x10' Square Aluminum Offset Umbrella comes complete with a durable 230 gram polyester coated umbrella canopy styled in a more contemporary design without an umbrella canopy valance. 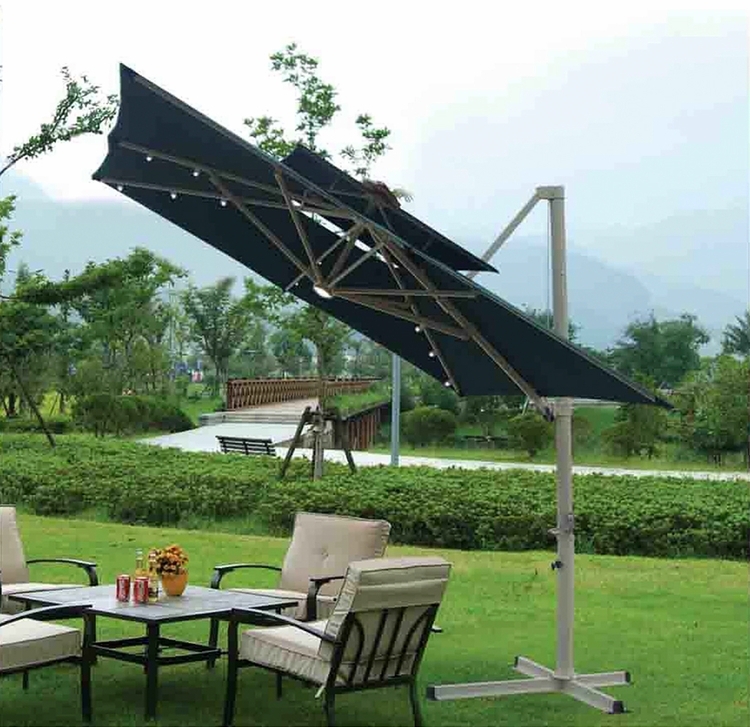 The umbrella canopy is supported by an 80mm heavy duty aluminum pole and supported by 13 x 25mm aluminum support ribs making for an extremely strong support structure. This versatile offset umbrella has a self contained solar powered lighting system featuring 18 LED lights in the canopy coupled with a 12 LED center main light. 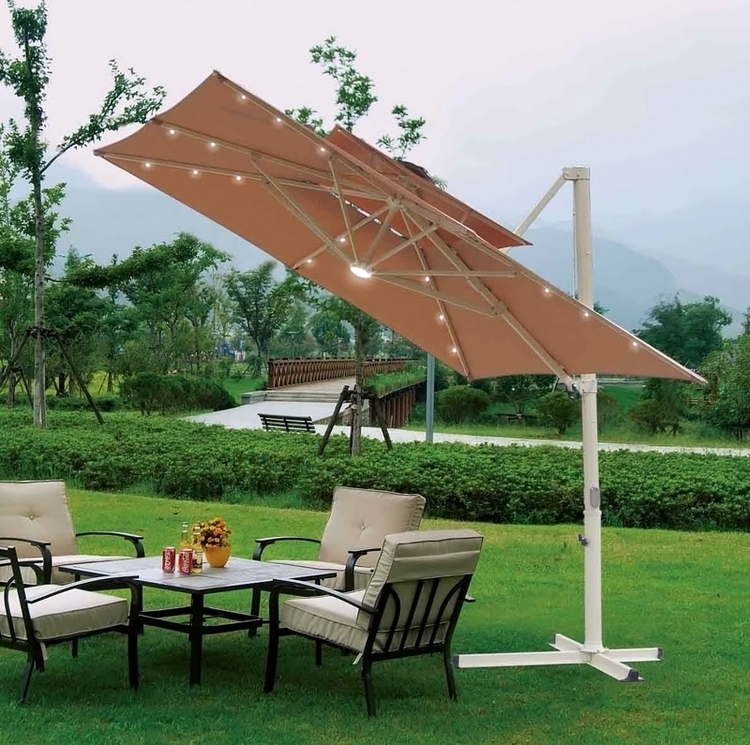 This Southern Patio offset umbrella would make a perfect night time compliment to lighting up an outdoor spa, dining area or conversation space on your deck. The offset umbrella base is an X styled base requiring support stones making for a very stabilized structure that will still remaining versatile enough to move around. 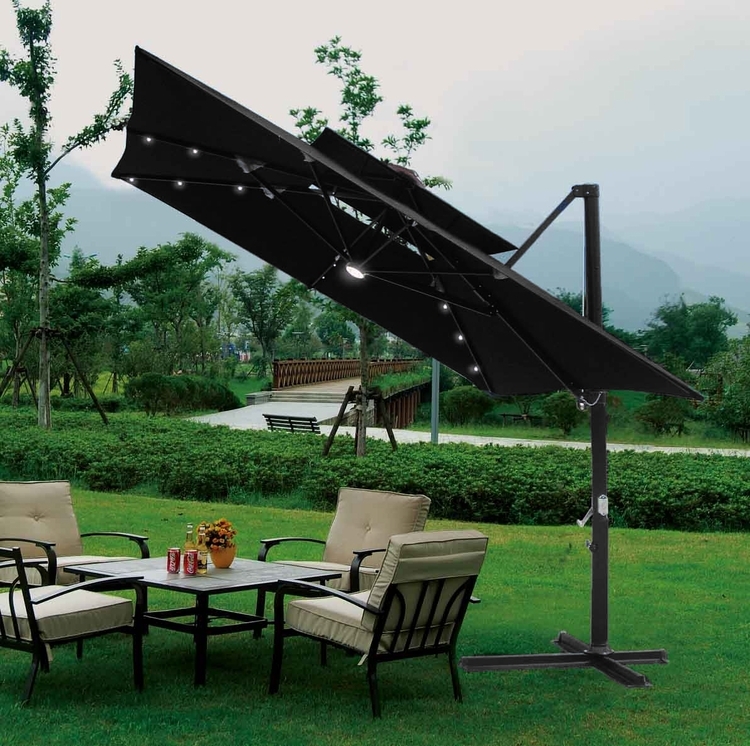 You will find this quality offset umbrella is designed to last for many seasons and having the built in solar lighting system makes for an ideal situation eliminating the need for additional outdoor lighting and perfect where there may not be electrical outlets to add exterior lamps.